Direct Line Insurance was tipped as a 'buy' in the Sunday Times' Inside the City column. The motor and home insurer, transformed over the past decade under the stewardship of chief executive Paul Geddes, has always, as it name suggests, sold its product direct to consumers without going through brokers or price comparison websites (PCWs). Last week, the FTSE 100 group quietly began to roll out a new brand, Darwin, starting on moneysupermarket.com. This first move into the world of PCWs, which is sure to boost sales of motor insurance, this digital-only brand will look to compete with rivals by using artificial intelligence and machine learning to generate prices. External forces in the insurance industry include pressure from watchdogs to treat existing customers better, rather than give away the best rates to newcomers, "which could lead to price caps". Further forward, driverless cars are designed to improve road safety, reducing insurance premiums. With Geddes due to stand down this summer, Penny James will step up from finance chief next month. Ahead of that move, the decision was made to boost capital buffers amid Brexit uncertainty, resulting in a near-halving of last year's special dividend. The share price having dropped by 8% since early April and offer a dividend yield still around 6%. An investment in doorstep lender Morses Club "should prove rewarding" said Midas in the Mail on Sunday. The company floated on AIM in 2016, with boss Paul Smith having bee in the driving seat for a year by then with a plan modernise the business and grow outside its core home credit business. While the bulk of revenue still comes from these 180,000 or so customers around the UK, agents have moved to digital records via iPads and the group has launched a Visa debt card for customers, with uptake from around a fifth of the customer base. Another move into the digital world has seen Morses launch an online lending brand, Dot Dot Loans, with the launch of a specialised online bank scheduled for later this year, offering credit facilities to people who have trouble borrowing from mainstream banks. The online business has this year been swelled by the acquisition of Curo Transatlantic from the administrators, providing access to 50,000 online customers, as well as trained employees and back office infrastructure. Smith aims to bolt on further online business in future, perhaps buying struggling payday lenders on the cheap. The takeover battle between rival home loan specialists Provident Financial and Non-Standard Finance "could provide further opportunities", as a deal would be likely to see divestments of subsidiaries. Either way, Smith aims to get to 250,000 customers in both the home credit and online business. In the short term, results for the year to 23 February are due in May, with a 15% increase in profit to £22m forecast, with the dividend up 11% to 7.8p, giving the shares a yield of 4.5%. In the Sunday Telegraph, Questor's tip was to avoid IWG, even though the serviced office company is not valued anywhere nearly as highly as US rival WeWork. WeWork, which is valued at close to $42bn, last year lost $1.9bn on sales of about $1.8bn and has still not been tested during a downturn. 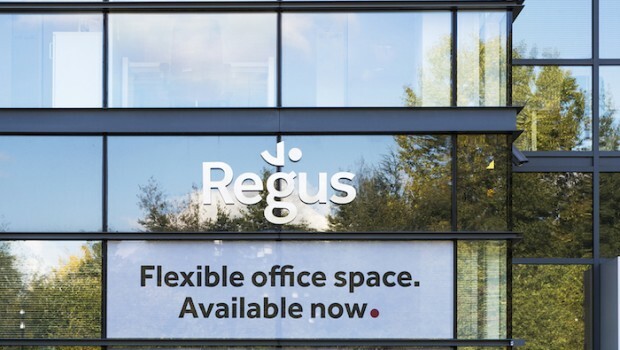 IWG, which owns the Regus brand and recent launched a WeWork-alike brand called Spaces, is worth a fraction of its upstart rival "despite making actual profits" and having the biggest US network of serviced offices and will this year open in its final state, Alaska. The Spaces format, which contributes more than a tenth of group sales and is profitable in its own right, is rumoured to be of interest to buyers. Another potential area of interest is franchising, among the significant corporate activity guided by management this year, with a third of IWG’s space growth last year coming from this capital-light route of licensing its brand to landlords and aiming for the group to eventually shift to one-third company-owned and two-thirds via franchises, as InterContinental Hotels has done with its business. Boosted by bid talks with potential suitors Starwood, Terra Firma and TDR, the share price topped 330p last summer but collapsed along with the talks and interim profits. For 2019, house broker Investec has cut its profit forecast 8% as IWG invests £300m in marketing and opening new sites on top of 299 new locations in 2018. Analysts at RBC Capital Markets also recently pointed out that while CEO Mark Dixon believes the market is not valuing the business properly, over the past three years EBITA has fallen to £156m while debt has more than tripled to £461m, with EPS on the wane and bidders walking away. Further potential issues for investors could be new IFRS accounting rules concerning property leases. While these will not affect cash flows, they will see higher charges in the early years of a lease, which will have the effect of moving the group’s ratio of net debt to earnings from 1.2 times to 4.8 times. The shares, meanwhile, are on a forecast price/earnings ratio of 20 times.